Handmade in Humboldt County, CA, from real rabbit fur. These mice are sure to thrill your cat with their soft feel and realistic look. Each mouse will vary slightly as they are handmade, but typically measure 2-6 inches long (including tail). 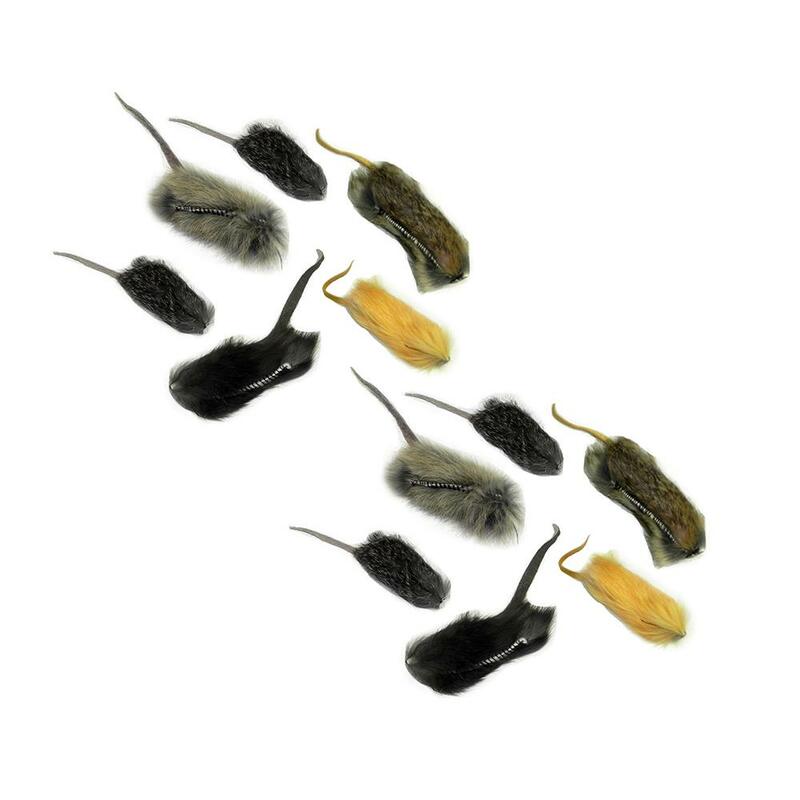 Each mouse has a roughly 1-3-inch long leather tail; no plastic eyes or other parts to come off or be accidentally swallowed by your pet. Price is for 12 mice.